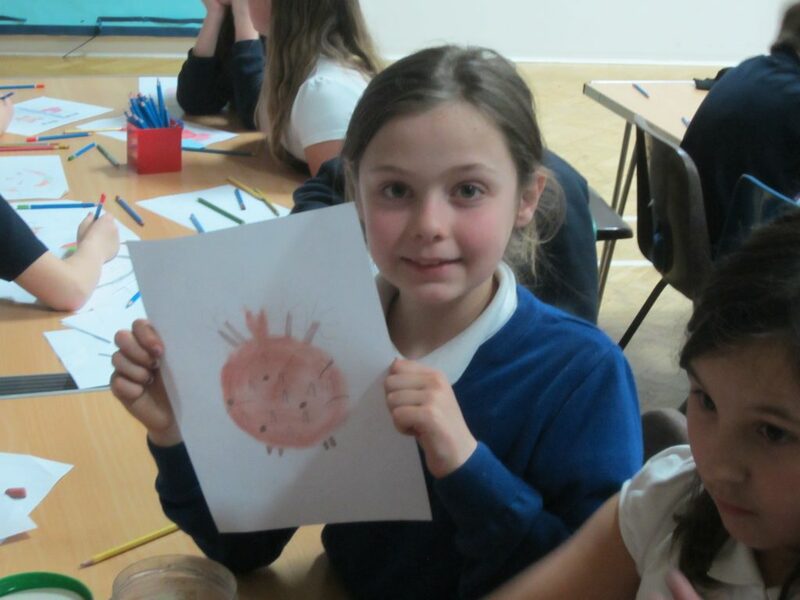 This workshop, held at Coldean Primary School introduced the children to scabies in an accessible manner. 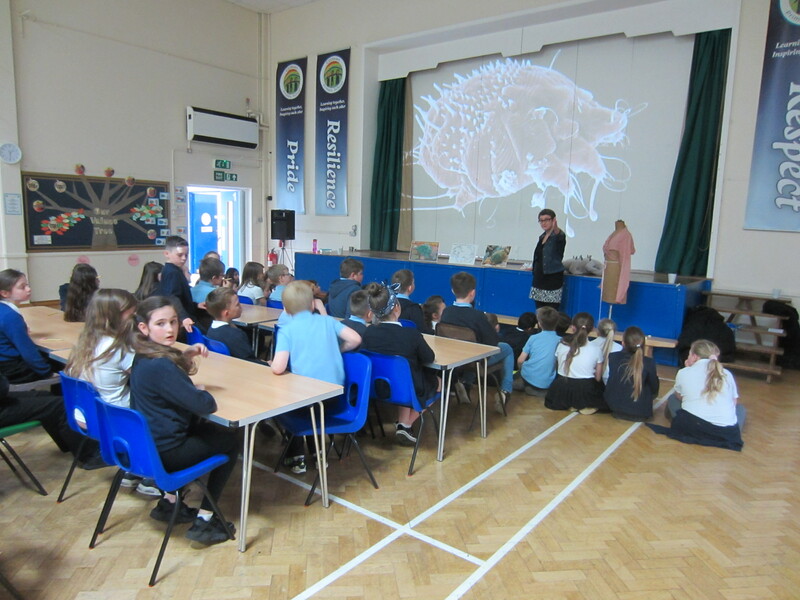 A short visual presentation in the hall to all the children was followed by them drawing pictures of scabies mites, and anything else they remembered from the presentation. 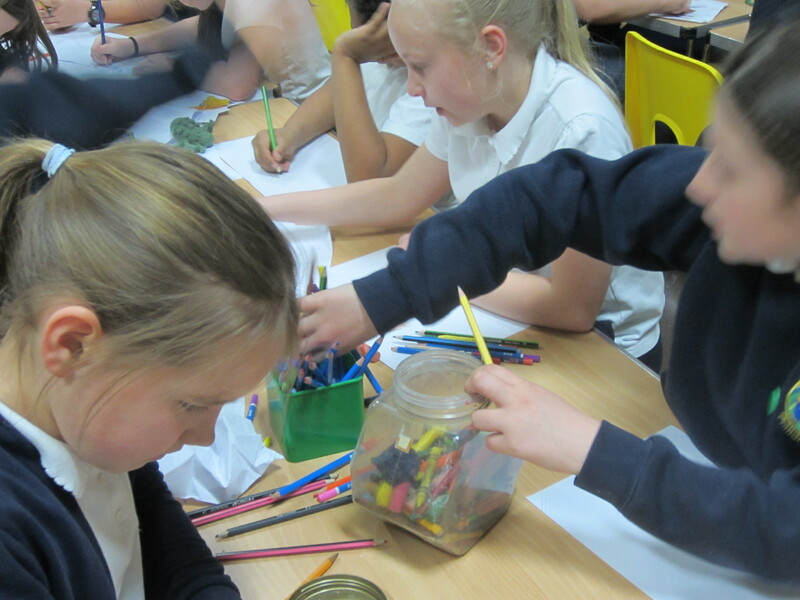 They were encouraged to make their drawings as colourful as possible, because these drawings will be transferred to fabric as digital prints from which they will make bean bags. 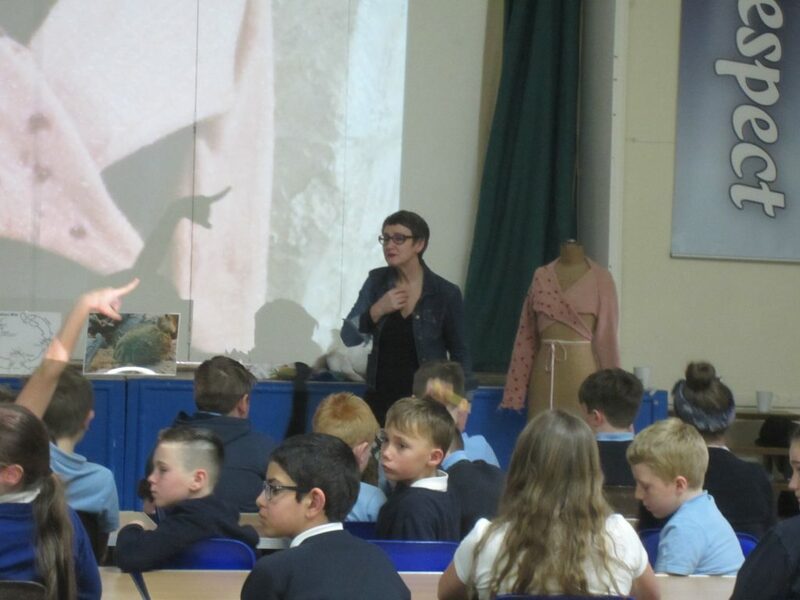 I am planning to use PrintmePretty.co.uk to print the fabrics as our digital printer at University is in constant use at the moment printing lengths for the final year undergraduates. 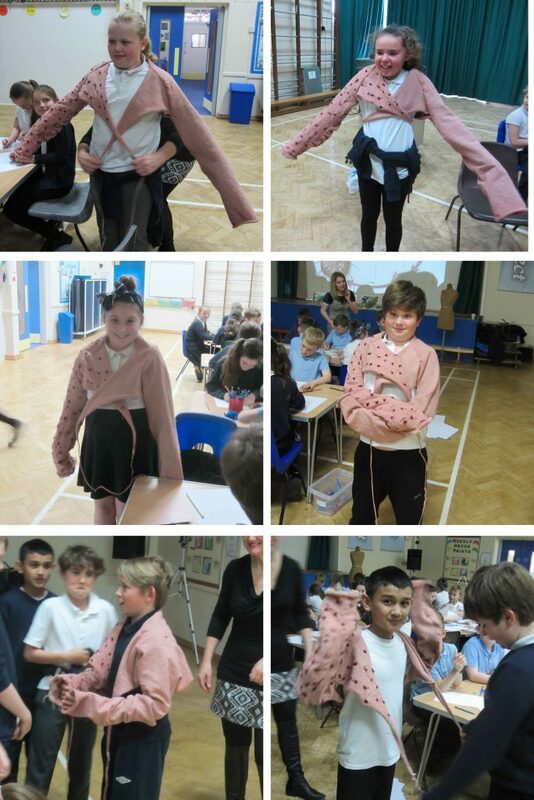 They had the opportunity to try on the ‘experiential garment’ designed and made by Vikki that makes the wearer itch. 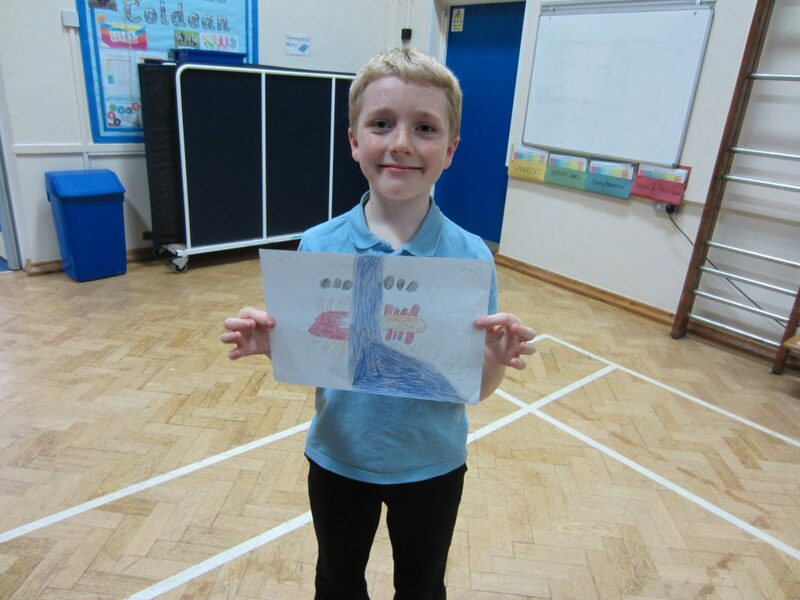 This entry was posted in primary school, scabies mites, workshops and tagged Education, Primary schools, scabies, textiles, workshop, workshops. Bookmark the permalink.